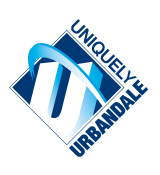 This is my fourth year teaching at Urbandale High School. I am originally from Newton so I never imagined I would say this, but I am SO proud to be a J-HAWK! Before moving to the Des Moines area I completed my BA in Communication Studies at the University of Iowa. I worked as an associate in the Iowa City Community School District’s Transition Services Program for about 3 years and decided to go back to school to get my MA and become a special education teacher. After receiving my MA in Special Education from the University of Iowa, I taught for one year in the Iowa City Community School District’s Bridges Behavioral program for 7th-12th graders. Then my wife got accepted into the counseling graduate program at Drake University and I was fortunate enough to get hired here!